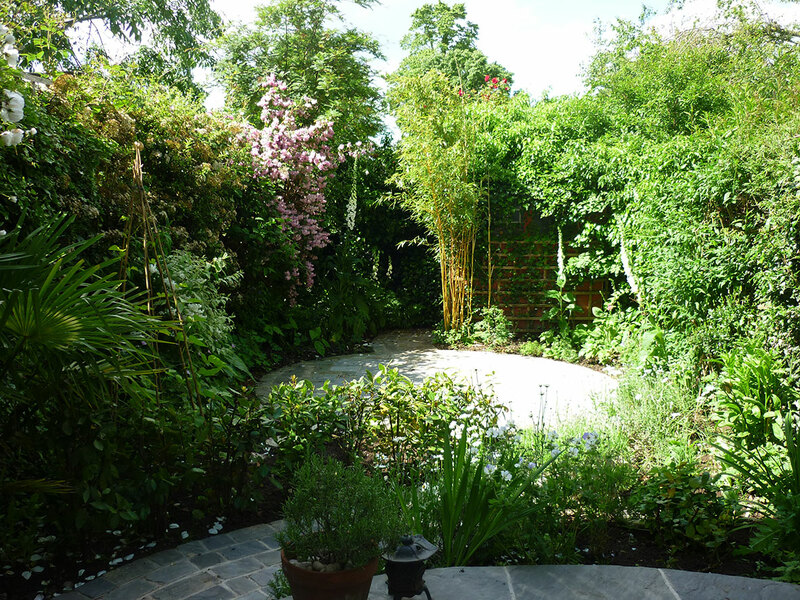 Creating an urban oasis was an ideal solution for this small garden. The client wished to have a space, where she could escape the stresses of everyday life and feel enclosed by nature. Previously the garden included a small dispiriting lawn which demanded far too much time and effort. 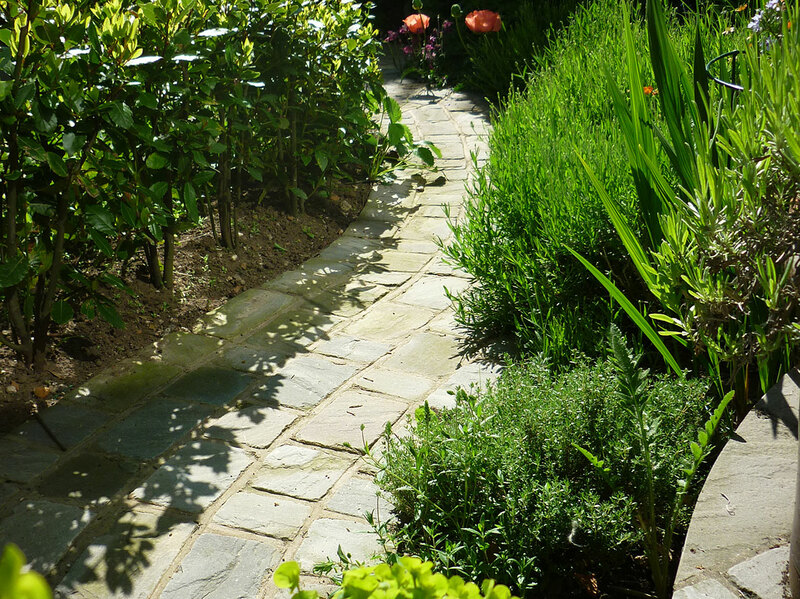 There are now two terraces linked by a sinuous curving path edged with lavender, thyme and bay. The choice of terrace means that there is alway a sunny spot to sit. 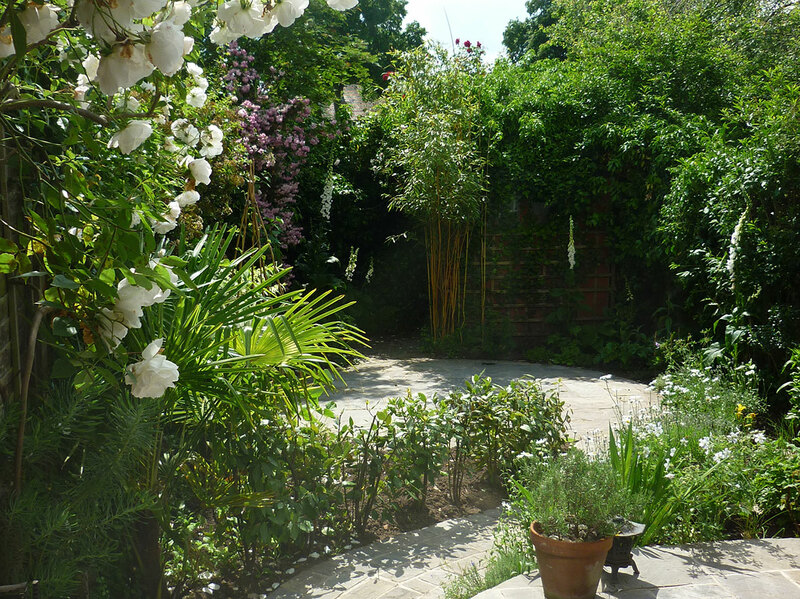 In mid-june foxgloves, roses and deutzia bring a harmony of soft pink and white to the garden. 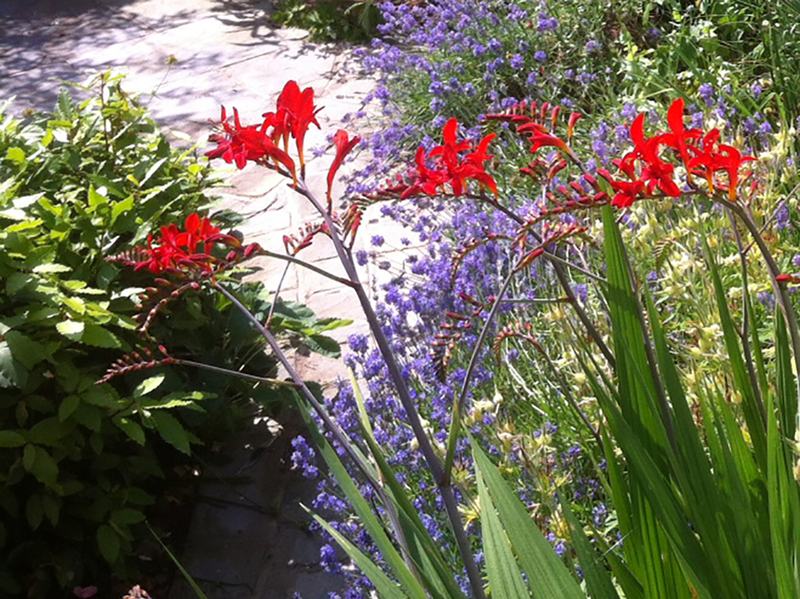 Later in the season Crocosmia ‘Lucifer’ and lavender create a dazzling contrast. The garden is now an inviting and relaxing place to spend time and a great space for a party. Without the weekly chore of lawn mowing, that the owner is free to concentrate on the planting. The shrubs and climbers will only need attention twice a year and the durable Stonemarket paving means that the garden can be used all year round.